WASHINGTON -- The share of Americans living in poverty fell last year for the first time since 2006, a sign an improving economy was finally trickling down to the country's least fortunate households. Still, the figures from the Census Bureau on Tuesday also showed the average person's income was essentially flat in 2013 when taking into account inflation, and 8 percent lower than in 2007 when the nation fell into recession. The report offered a mixed bag for President Barack Obama and his Democratic Party ahead of November's congressional elections. On the one hand, median household income, one of the broadest measures of economic well-being for the average voter, has declined since Obama took office and only edged up $180 last year to $51,939, which the report deemed a statistically insignificant increase. But the poverty rate did post a meaningful decline, dropping a half percentage point to 14.5 percent. The decrease appeared driven by fewer people relying on part-time work, as the survey found an additional 2.8 million Americans were working full-time during the year. "That seems to be the main thing" behind the decline, said Charles Nelson, an official at the Census Bureau. 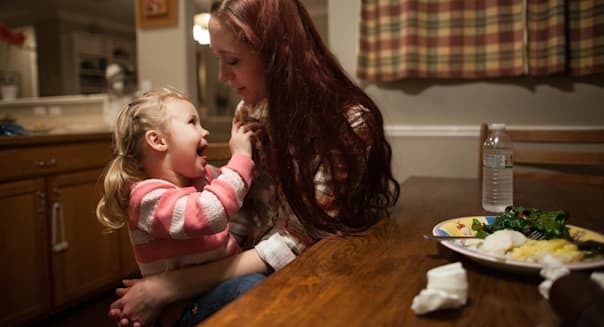 A family of two adults and two children is considered to be living in poverty if they earn less than $23,624 a year, according to the Census Bureau. Despite the drop in poverty, which was concentrated in the Hispanic population, the rate remains more than 2 percentage points higher than it was in 2006. Private sector economists think the U.S. economy turned a corner last year as the housing sector rebounded and hiring increased, and more full-time work and less poverty plays into Obama's message ahead of the congressional elections. "There is reason to believe that this progress has continued into 2014," White House economists Jason Furman and Betsey Stevenson said in a blog post. The annual findings also suggested the percentage of people who did not have health insurance decreased last year. The Census said one measure of the uninsured rate fell to 14.5 percent, down two-tenths of a percentage point from 2012. Under a new gauge based on methodology that will be used going forward, 13.4 percent of the country lacked insurance. Data from other government agencies has pointed to a further decline in the uninsured rate this year as the healthcare reform law pushed by Obama extends coverage to millions of people. -With additional reporting by Caroline Humer.